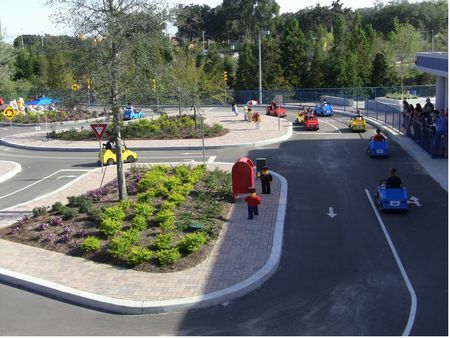 Driving School is an excellent track ride in Lego City and one of the best attractions at Legoland Florida. One of Legoland's signature attractions. Children ages 6 through 13 learn traffic safety as they drive their own individual kid-sized vehicle on Lego City's "streets." For many kids, this is their introduction to driver's ed.